The Halloween Lobby arrives to scare up some fun with spooky decorations and an eerie atmosphere. Ghosts now haunt the lobby, popping up without warning at various locations to scare players. 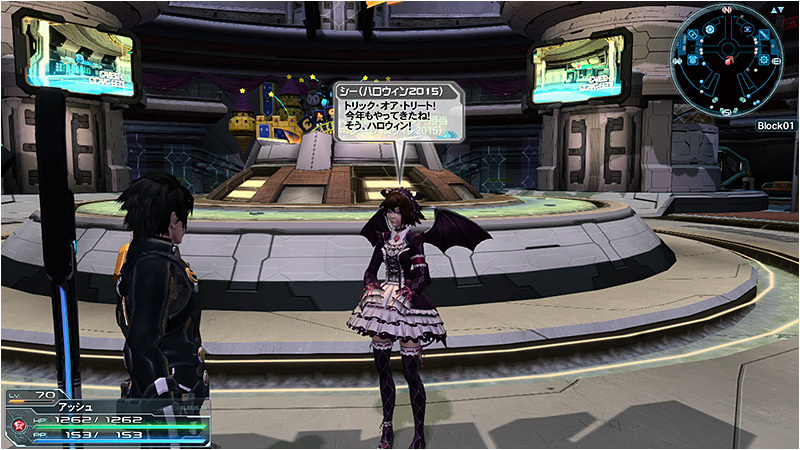 Xie returns with Halloween attire, handing out client orders and goodies. Clear her orders to receive item packages containing sets of Halloween treats. Participate in this year’s Trick or Treat quest for a convenient way to earn rewards in the Halloween 2015 Bingo! Prizes include booster items and the recently added Galeru Crystals. Head to Lillipa’s desert for the [Trick or Treat 4!] Emergency Quest, available for a limited time. 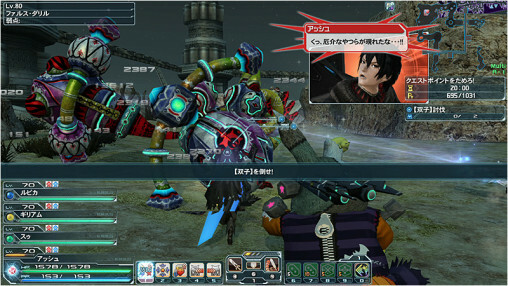 Kuron’s Toy Darker enemies will join the fray for this edition, along with bosses Gal Gryphon, Zeta Guranz, and Dark Falz Double’s Douran and Dourill forms. 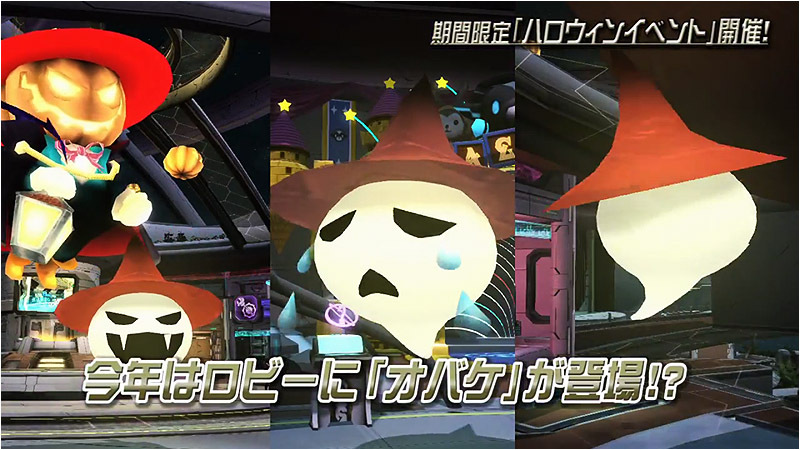 Halloween decorations like jack-o’-lanterns can even appear during Emergency Trials! Depending on the difficulty of the quest, players can obtain Lambda Grinders and gold and silver weapon badges. Take on a high difficulty for a chance at getting ★13 weapons. 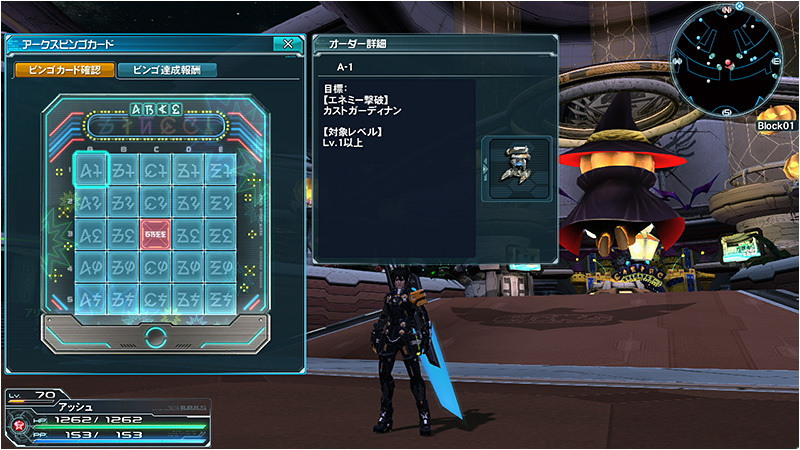 New ★12 weapons themed after the Lillipans can be dropped by defeating Barbarillipans on Extra Hard. 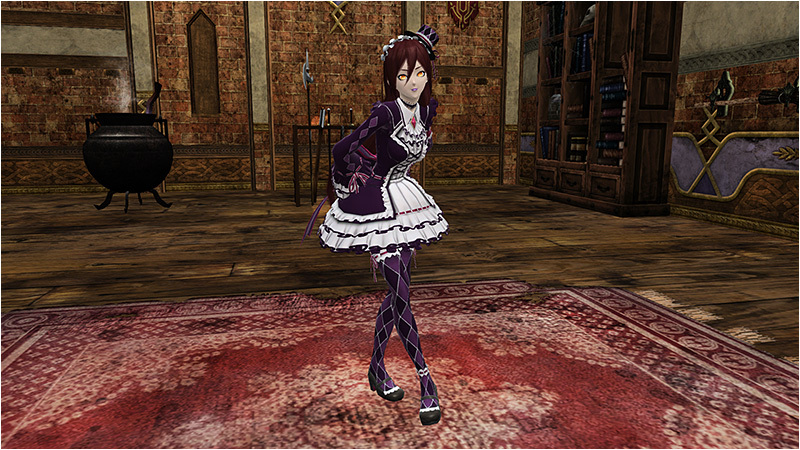 Slip into your favorite Halloween themed costume to receive a special PSE effect during the quest! The event that connects past, present, and future. With only a single objective, the one who has traveled through this endless story will come but to one conclusion. New rewards available at the Title Counter will allow you to increase the power of weapons for your main class. Each of these titles will task you with attaining a certain number of weapon entries for specific classes. Just fill up your [Weapon Record] entries at the Visiphone, and visit the counter to redeem your reward! Let’s say you’re playing as a Hunter. 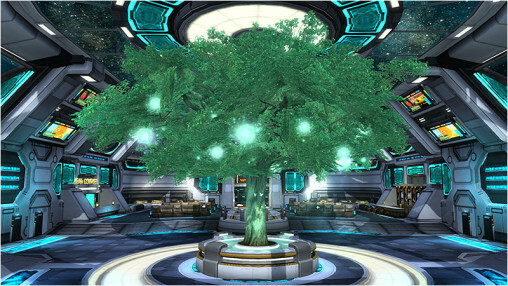 You could boost the power of its weapons if your record contains an adequate amount of ★10~12 entries of Hunter weapons. This boost of power would apply to Swords, Wired Lances, Partisans, and Gunslashes, but only when the class has been selected as your main. Each Title has a different requirement, asking for weapon entries in specific rarity brackets. 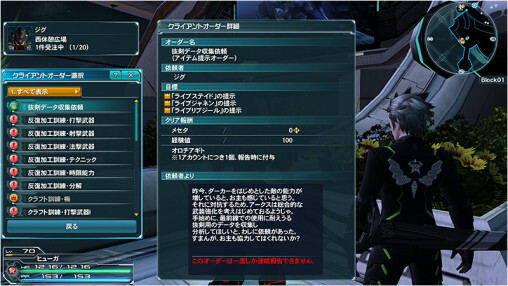 The effect from the Title will apply to all the characters on your account based on the conditions stated in the Title Reward. Gunners will receive power boosts to TMGs, Assault Rifles, and Gunslashes based on the number of [Gunner Weapon Boost] titles redeemed at the Title Counter. Bouncers will receive power boosts to Dual Blades, Jet Boots, and Gunslashes based on the number of [Bouncer Weapon Boost] titles redeemed at the Title Counter. Just keep in mind that you do not need to hunt for Gunslashes to fill up your [Weapon Record] collection. They will still receive the effect as long as you redeem a Weapon Boost title reward. Check out the team room and explore new features! A Team Scarf can now be selected from the team accessories menu. Choose the color that best suits the team and increase its solidarity. The team’s Photon Tree can be grown to new heights, with the Photon Effect limits being raised to level 8. Zieg’s got some new ★12 weapon client orders for players. Much like previous orders, you’ll just need to show him the correct combination of “Live” series weapons to receive a fancy ★12 weapon. 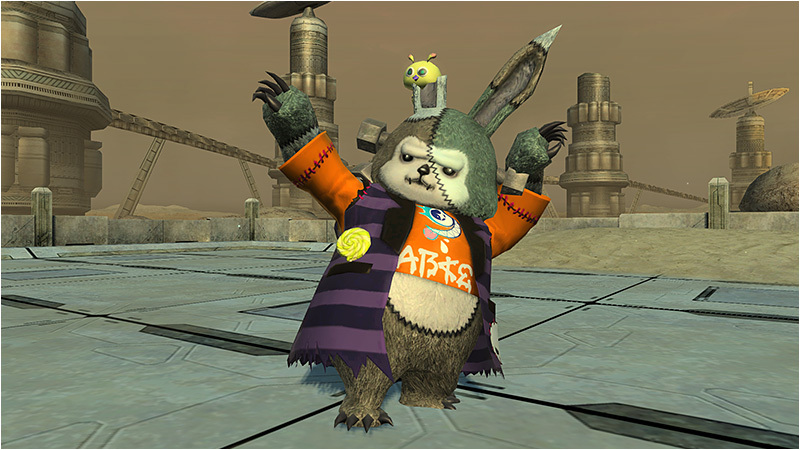 The beloved Seraphy of PSO2es is coming back to PSO2’s lobby with all-new client orders! 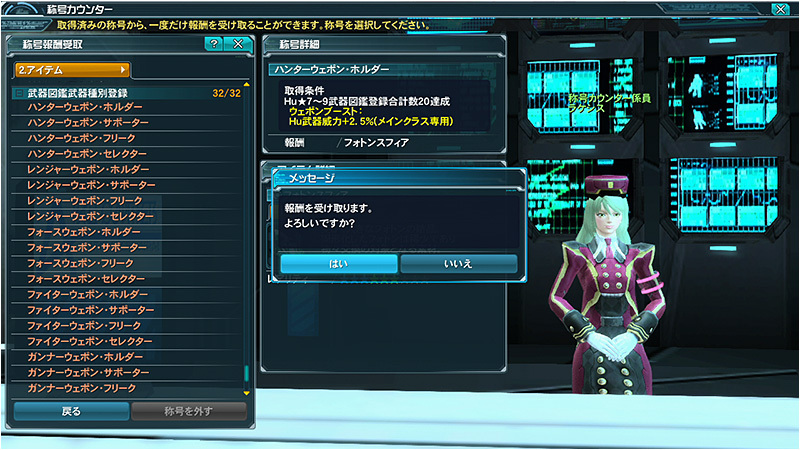 When you log into PSO2es with a linked account, you can receive [15,000EXP] tickets in PSO2! [Double] will now have the chance of appearing in Emergency Trials during Free Field quests. Players who defeat them could earn new ★12 and ★13 weapons, or even new units based on their designs! Some previously released ★12 weapons will now be able to drop from bosses on Super Hard or higher. In addition, some Darker bosses will receive new drops from the “Nox” weapon series. Sonic Arrow: Shortened the time it takes until you can perform a Just Attack. Adjusted the timing of descent. Buffed the amount the Gear increases. Sacrifice Bite: Buffed its power and the amount the Gear increases. Partly buffed its animation speed. Sneak Shooter: Shortened the time it takes until you can perform a Just Attack. Buffed the speed of its bullets. 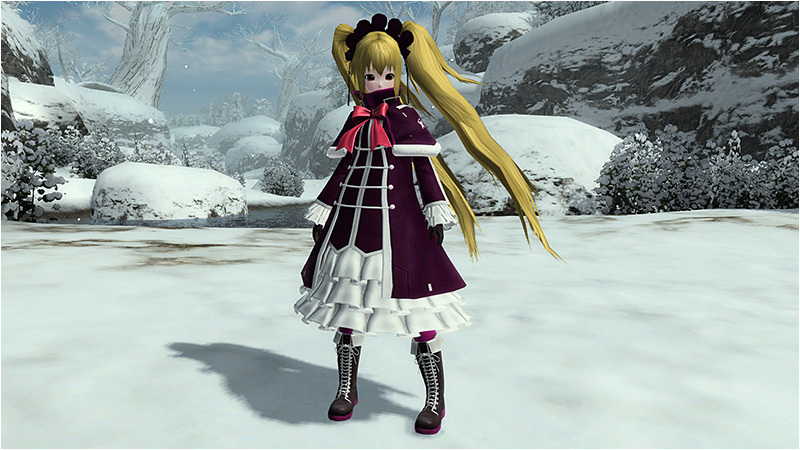 ※ Adjustments for Diffuse Shell and Parallel Slider will be announced in the future. Whirlwind Weapon Action: Shortened the time it takes until a Just Attack or Cancellation can occur. Quick March: Buffed its power and shortened the time it takes until you can cancel. Surprise Dunk: Buffed its power. Shortened the pauses when hitting the enemy as you leap into the air. Launches the enemy slightly. Deadly Archer: Adjusted the spacing of hits. ※ Adjustments for Orchestra, Illusion Rave, and Acro Effect will be announced in the future. Shift Period: Buffed its power and sped up some of the animations. Shift Period: Shortened the time it takes until you can perform a JA. Adjusted the timing of descent. ※ Adjustments for Aerial Shooting, Dead Approach, Messiah Time, Elder Rebellion, Reverse Tap, and Heel Stab will be announced in the future. Power will now increase based on the Katana Gear stage. Step Attacks: Buffed the animation speed with Bullet Bows. Shortened the time it takes until you can perform Just Attacks. Gekka Zakuro: Reduced its PP costs and made it so the player can cancel it with [Step] and [Weapon Actions] when using it on the ground. Tsukimi Sazanka: Removed the pauses when hitting the enemy and reduced its PP costs. Buffed its animation speed when attacking from the ground. Sakura Endo: Buffed its animation speed and shortened the time it takes until you can perform a JA. Buffed the power of non-charged attacks. Million Storm: Increased its power and reduced the PP costs. 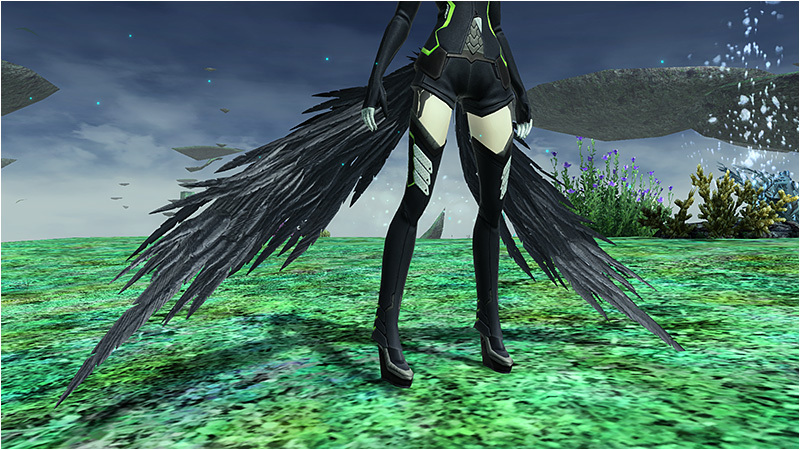 Jet Boots Escape: The skill will have invincibility frames added to Shift Attacks that occur through normal attacks. Weapon Actions: Adjusted the timing of descent, and reduced Weapon Action switchover times. Normal Attack’s Striking Mode: Reduced the length of time until Just Attacks or Cancellations can occur. Serpent Air: Buffed its speed, and shortened the time it takes until a Just Attack or Cancellation can occur. Regenschlag: Buffed its speed, and shortened the time it takes until a Just Attack can be performed. ※ Due to the above changes, an All Skill Tree Reset Pass will be distributed. 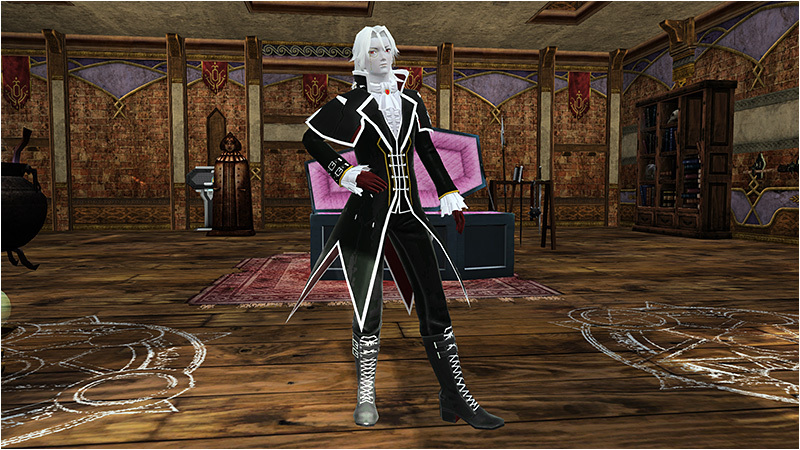 Dress up in some new Halloween duds with vampire themed noble coats and a just slightly eerie Lillipan suit. 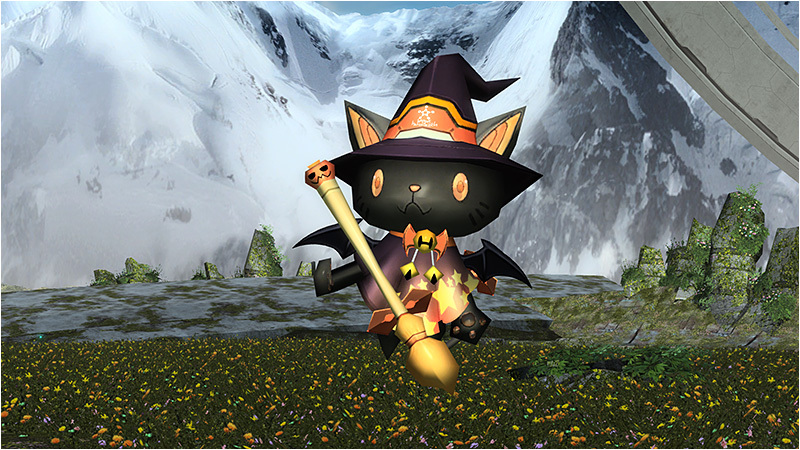 Top it off with a black cat sorcerer Mag device and show your Halloween spirit. ※We’re looking for better naming suggestions for the Coat Costumes. Awesome content! Can’t wait to see the patch live! Awesome, seems like braver got a few good ones. As for the coat, maybe phantasm or or vampir M/F coat, idk.. dark lord/dark lady coat LOL That mag is cute..
You know, if they put back the Blazblue collab a few months, they could’ve also added Rachel Alucard’s outfit. 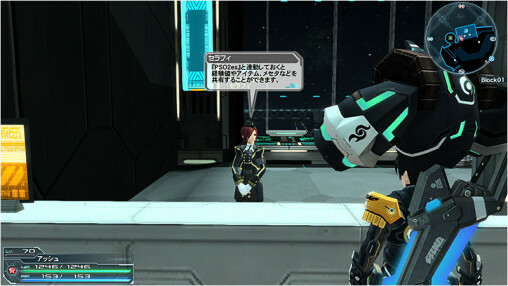 Shouldn’t the translation for ベルディア be Beldia (notice the small ィ)? Beldaire would be ベルデアー, wouldn’t it? Yes, if we can’t find a reference in time we’ll most likely go with Beldia. We did see that ディア is also used for Deer/Dear/Deere, which is interesting because we don’t usually pronounce them that way. Their version sounds fancy and more refined as if they were acting in a play. So we’re looking for suggestions in case there’s a word in another language that’s pronounced the same way. 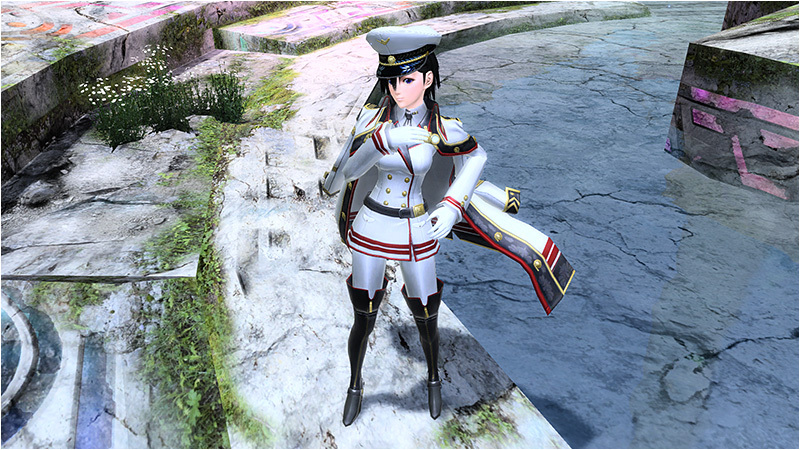 Now that I think about it, Beldia just doesn’t really seem right to me, given the outfit styles. I’m leaning towards Beldeia or Beldeere. Oh, and ロレット should be Lolette. Laurette would actually be ローレット. I blame update frequency. Its not possible to balance out anything if you try to push something biweekly just for the sake of it. They should take example from other games and do a proper annual update. this way no one will have to deal with “low-drop overpowered novelty area”, only to see it slowly decay and get easier with time, its rares gradually becoming more accessible, and classes racing after each other. …admittedly guesstimating here, as that kind of vague scattershot whining is what I’m used to seeing from terrible WoT players. I’ve found the underlying PEBKAC to be nigh unversal though. Beldoir sounds more appropriate than Beldaire for that spelling to me. Would be nice if they added a bit more to hunter and adjusted deadly archer so that it stops upon impact. I’d like that too but instead make deadly archer stop at any locked on target within range. That way i can target an enemy behind enemies, deal some dmg to enemies right in front, and hammer the targeted enemy. The speed inc of sneak shooter is a MUST. That PA makes being a sniper disgraceful … Although i like the crouching/crawling because its humorous to me, its pointless …. they could at least give it purpose like make the crawling reduce aggro from enemies. 1 time PA button for laying on the ground for some amount of PP and the next PA button after laying down shoot the riffle with some additional amount of PP and jump or dive roll action to cancel the mode. 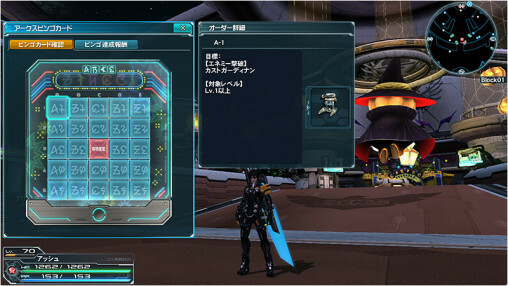 Wonder when sega will make crafting recipes for all PAs and hidden potentials for all existing 12 star weapons. Feels like it would be excessive to make potentials for all of the 12* weapons (some of them don’t really need them. Looking at you Zirenheit!). On the other hand, I’m still expecting blue weapons to get their own potentials one day. 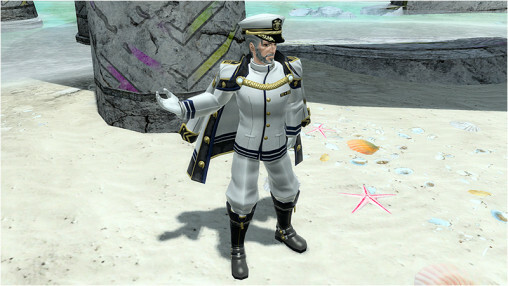 As far as the PA crafting, I feel like we should be getting some next month. Just a feeling though. I wouldn’t want ALL the 12* weapons to have hidden potentials. I think that makes the ones that already have hidden potentials less unique, even if every 12* had unique hidden potentials. Count Coat (as in the title) sounds better than Counter Coat.